Journey has been a game that has been sitting on my PS3 for years, begging to be played but never quite slotting into my life at the right time. Throw a newborn daughter, a new job, renovations and a PS4 into the mix, and booting up the PS3 to play Journey slowly crept down my to-do list... until recently. One glorious afternoon a few weeks ago, my wife and daughter were out for a brunch, I'd finished some work on the house and no other tasks were beckoning that I took advantage of the few hours to play journey through. 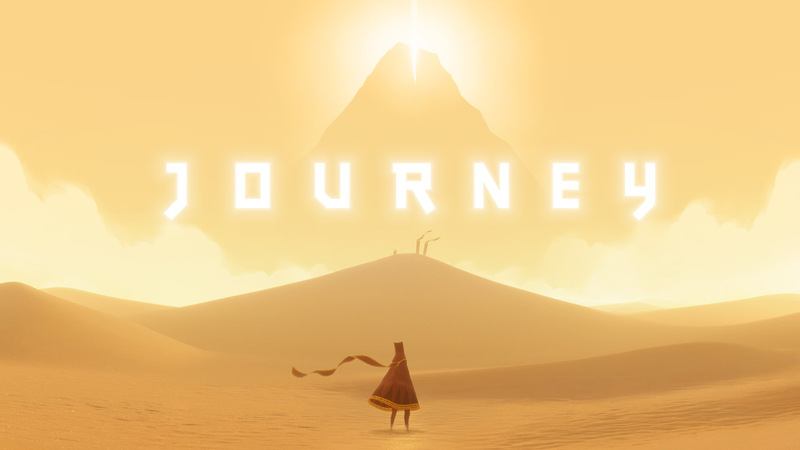 Of course I'd heard the hype around Journey, and had already finished Flower, so I knew I was in for a good experience. For the first few hours, I was impressed but it felt familiar, somewhat of a Flower 2.0, but as the game grew darker and the journey became more arduous, I came to see why this game deserved a 92 on Metacritic - no simple task! For one of the easiest to play games of recent eras, where it is impossible to die it sure is brutal. The final quarter of the game sees the main 'character' trying to fights its way to the top of a snow capped mountain, through blizzards, thick snow, and mystical creatures - and the pain and suffering hit me as hard as the introduction to The Last of Us. I won't go on too much more, as everything that can be said, has been said - but it is a truly awe inspiring game worth playing by anyone with a copy!